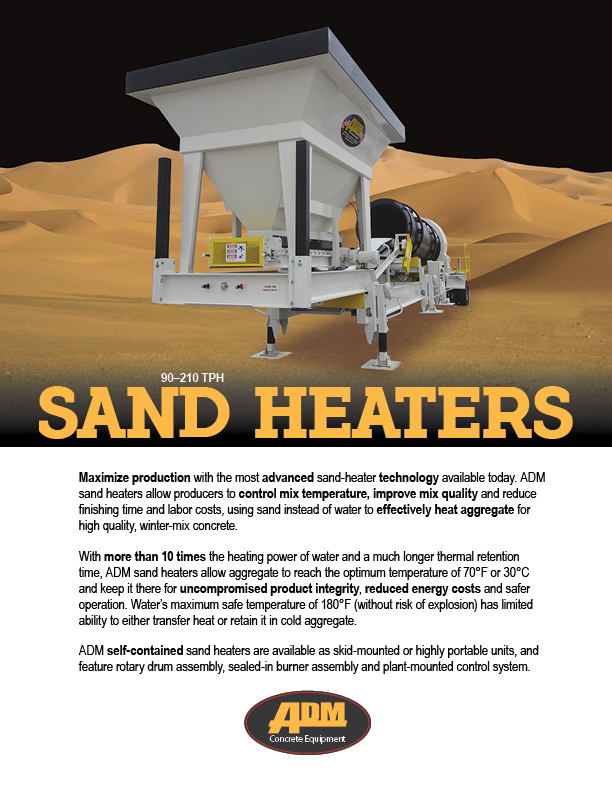 ADM sand heaters, ranging from 90–210 TPH, were specifically designed, because heating sand is proven to be highly effective in controlling mix temperature and producing higher quality product for an increased bottom line. 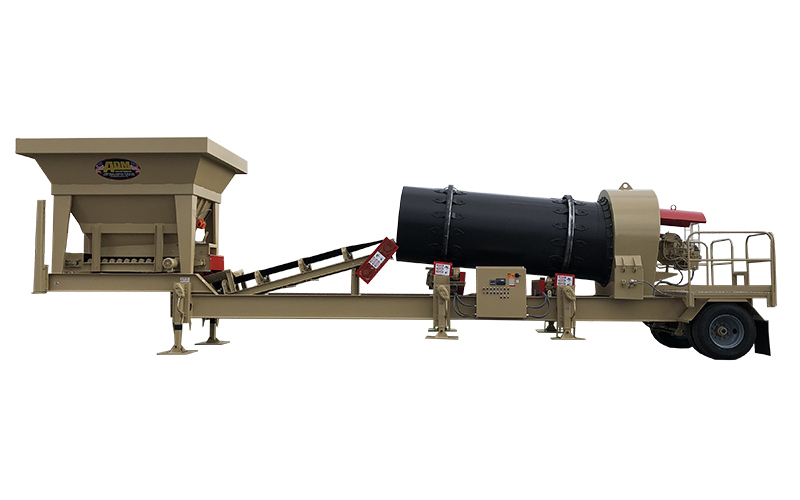 By efficiently heating sand, each of the three ADM sand heaters allow for the use of sand, instead of water, to effectively heat aggregate, control mix temperature, improve mix quality, decrease energy costs and reduce finishing time and labor costs associated with winter-mix concrete. 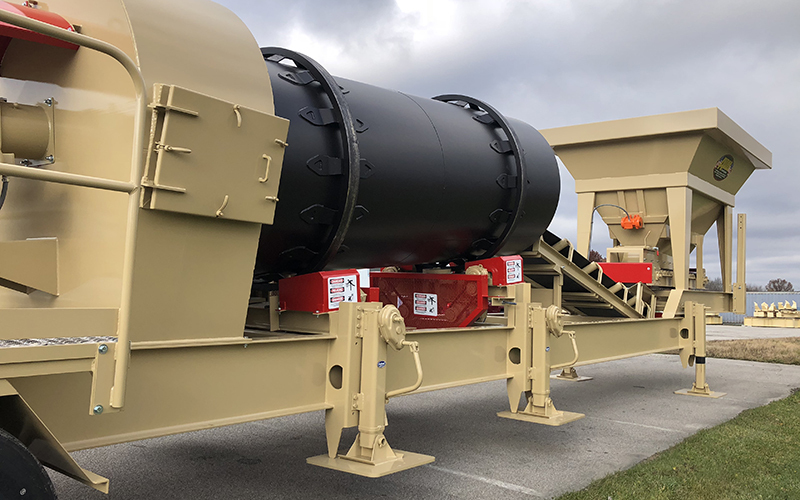 Available skid-mounted or as highly portable units, ADM sand heaters feature rotary drum assembly, sealed-in burner assembly and plant-mounted control system. 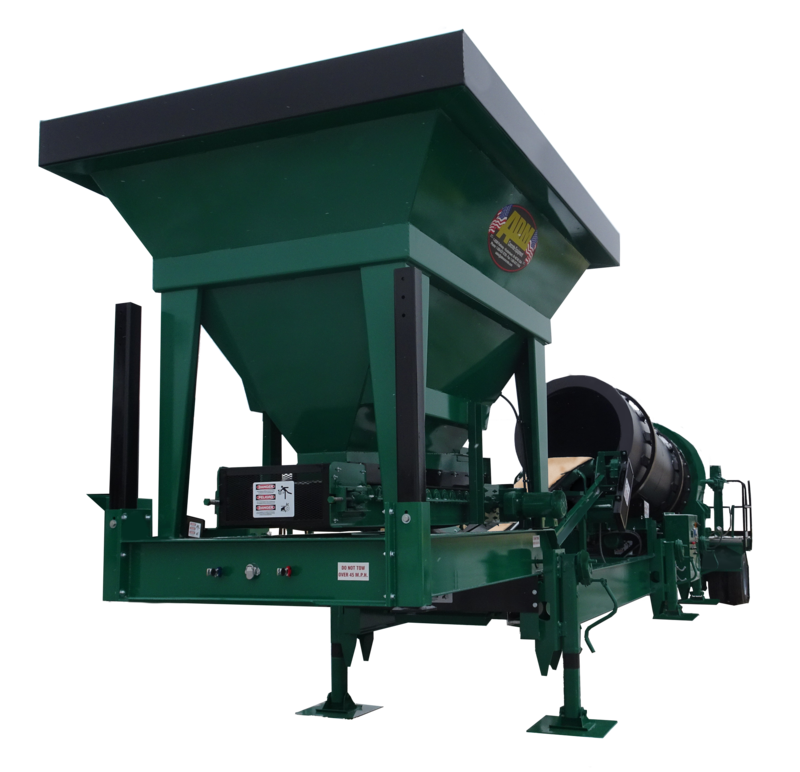 Using the most advanced sand-heater technology available today, ADM sand heaters allow for the use of sand, instead of water, to effectively heat aggregate for high quality, winter-mix concrete. 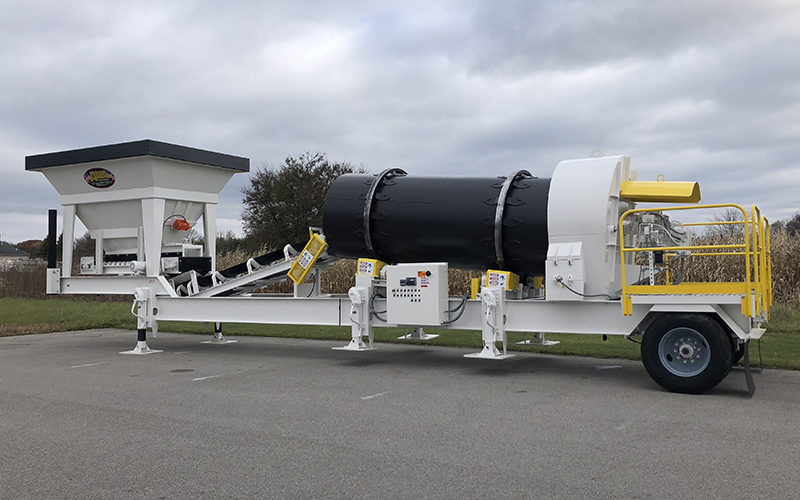 With more than 10 times the heating power of water and a much longer thermal retention time, ADM sand heaters allow aggregate to reach the optimum temperature of 70°F or 30°C and keep it there for uncompromised product integrity, reduced energy costs and safer operation. 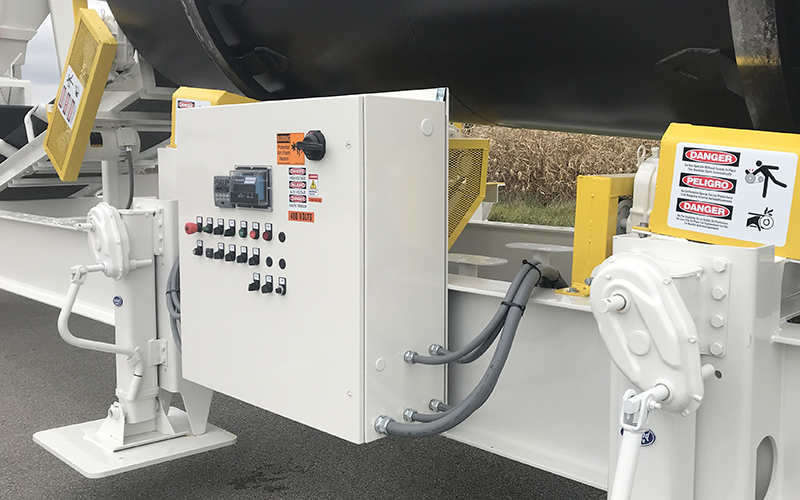 Pre-wired and Factory-tested – Controls include a plant mounted NEMA-12 rated electrical enclosure, and arrive on the plant, ready-to-run, providing operator confidence. 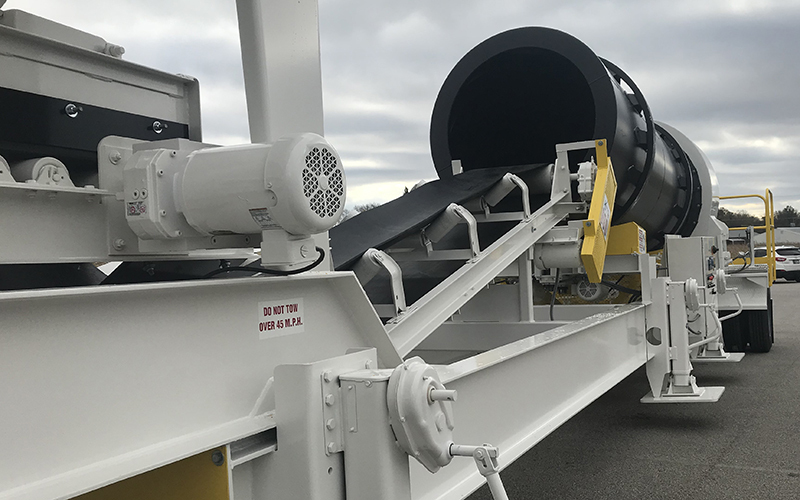 Optimal Performance – The drum is rolled from high strength steel plate for extended wear, while the special bent plate flight design ensures maximum performance. Easy Maintenance and Long Wear – Drive trunnions are hardened to between 550 and 650 Brinell for long life. Supported by pillow block bearings on adjustable mounting plates, the trunnions allow for ease of alignment and easy maintenance. 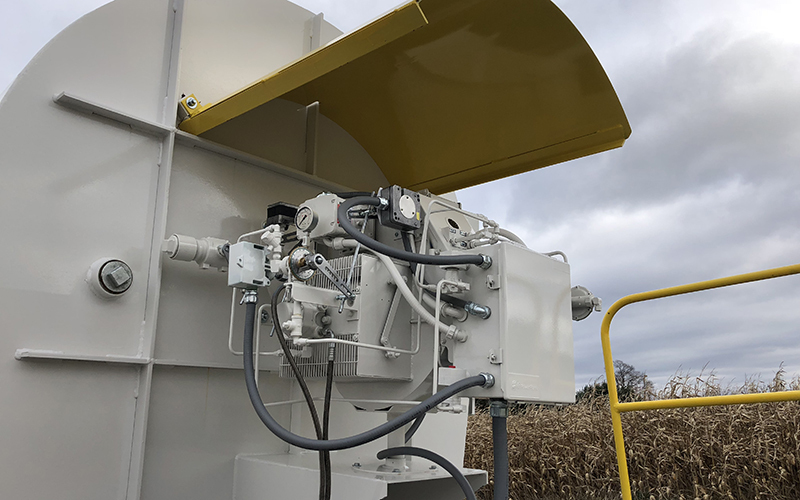 Increased Burner Efficiency – Sealed-in burner has an estimated fuel oil consumption rate of .27 gallons per ton of material at a 90°F temperature rise. Talk with an ADM sales representative for additional product information. 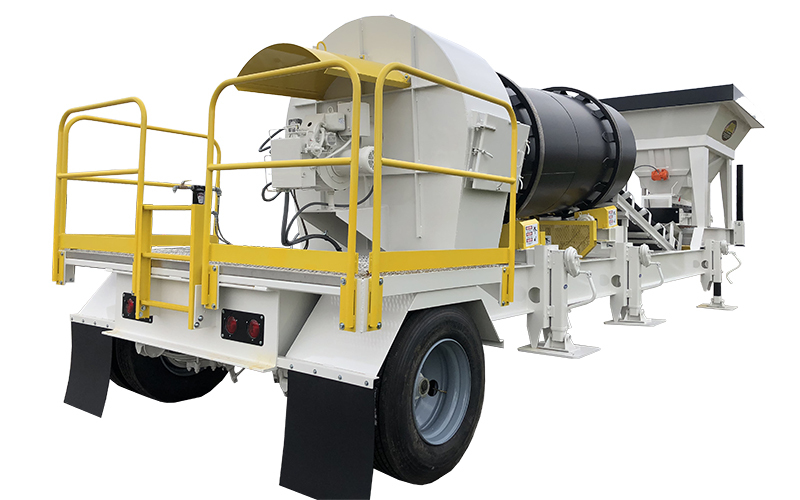 A wide range of components allows you to build the plant that fits your operation’s specific requirements. Click to View or Download Literature.